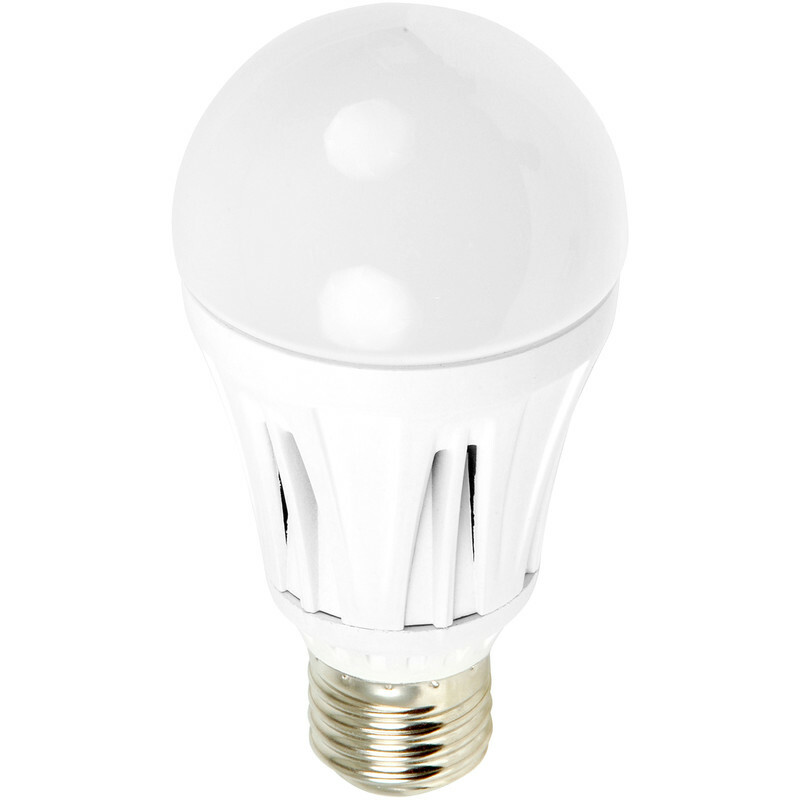 LED GLS Dimmable 12W Lamp ES (E27) 1050lm is rated 4.8 out of 5 by 9. Rated 5 out of 5 by Linda555 from Good quality product These bulbs are good quality and I can read well with them on,not so well when they're off. Rated 5 out of 5 by Jonteewilly from Very Bright Bought this for a hard to get to outside lantern. 30000 hours rating means it should last a good long while. Also its very bright and being LED costs hardly anything to run. BRILLIANT. Rated 5 out of 5 by pkr5 from Bright Very bright, good features for an LED Lamp for the cost. Rated 5 out of 5 by Ray 47 from Actually dims! Good lamp that will dim on an older dimmer switch, slight flicker if set too low. Plenty of light on full power. Only recently bought so reliability unknown, but should be good. Rated 5 out of 5 by Bob1953 from Lots of light Just fitted new wall lights in dining room. Fitted a pair of these bulbs as 60 w was never bright enough. These are brilliant and so good that i got 2 more for the lounge. Good price and hopefully they will last a long time. Rated 5 out of 5 by Aingram from Very bright A really great led replacement for a gls lamp.